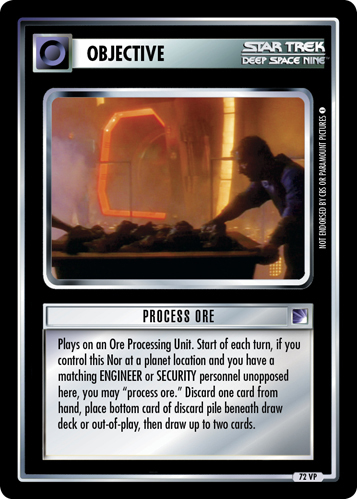 Cardassian ore processing facility commandeered by the Terran Rebellion in the mirror universe. Seeds during dilemma phase at Bajor. 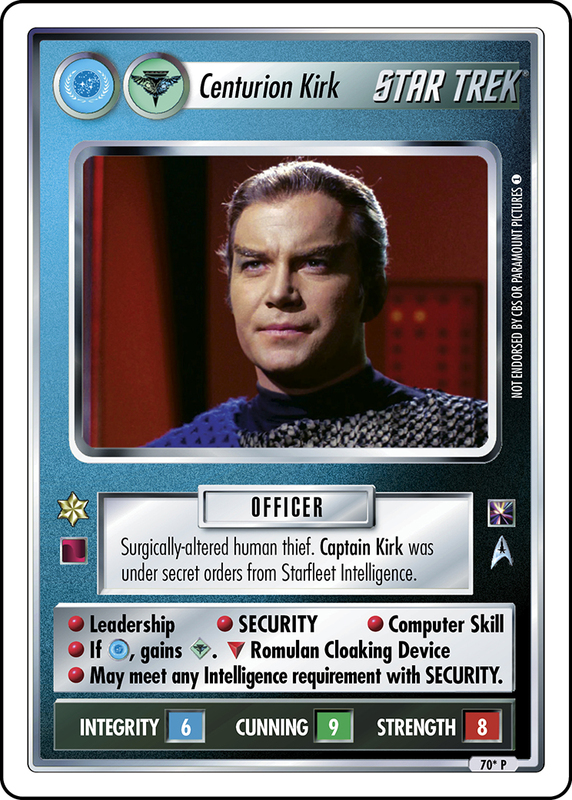 If commandeered, new controller may flip card over. (Not duplicatable.) 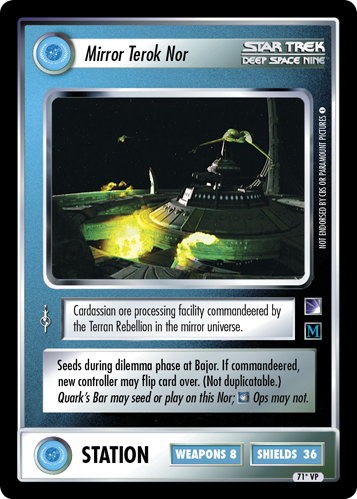 Quark's Bar may seed or play on this Nor; Ops may not. 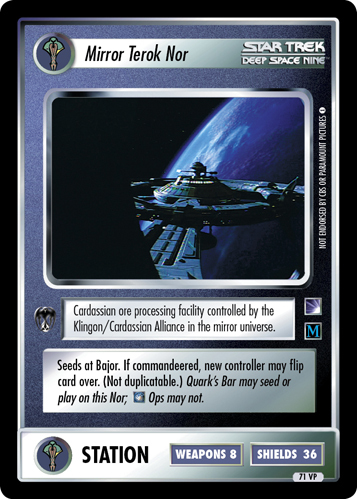 Image Source: Deep Space Nine: "Shattered Mirror"